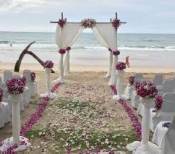 In recent years medical tourism in Phuket and throughout Thailand has rapidly increased. Many visitors now combine their Thailand vacations to Phuket with routine health check-ups, dental work, lasik eye surgery and a range of low cost plastic surgery procedures. With soaring healthcare costs and long waiting times for medical procedures in many western countries. It is becoming increasingly difficult to find quality, affordable medical treatment, whether it be life saving procedures or cosmetic surgery. It is no wonder that many tourists decide to have their medical treatment and dental treatment abroad. Most medical tourists are finding their way to either Bangkok or Phuket, where medical and dental care is relatively cheap compared to what we pay for the same treatment in our home countries. Even with the added expense of flights and accommodation, medical treatments and dental treatments combined with affordable Thailand vacations to Phuket are much cheaper. While you are recuperating from your procedure you get to enjoy the beautiful beaches, fantastic shopping and the nightlife the Island has to offer. While medical treatments, dental care and cosmetic surgery prices in Phuket are relatively cheap, the level of quality care is of a very high standard. 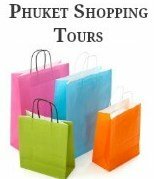 Phuket offers medical tourists a good range of private hospitals that have world class standards. With advanced medical facilities, fully equipped with state of the art technology and highly qualified English speaking medical professionals. There are two major hospitals that cater for medical tourism in Phuket. The Bangkok Hospital Phuket opened in 1995 and is part of the largest private hospital group in Thailand. As well as being the biggest hospital in Phuket and one of the largest in Thailand. It is known as one of the best hospitals in the area of cosmetic surgery and reconstructive procedures. The hospital has a range of medical procedures and services available for medical tourism, including a LASIK eye center, a wellness center, women’s health center, dental center and much more. The Phuket International Hospital opened in 1982 and was the first private hospital to open on the island. This was the first hospital on the Island to provide medical treatment to tourists as well as promoting medical tourism in Phuket. Facilities at the Phuket International Hospital include an eye and LASIK center. A specialist women’s clinic, cardiac center, skin and laser center and a dental center. The hospital is also well known as one of the leading centers for Plastic Surgery in Thailand through the Phuket International Aesthetic Center. 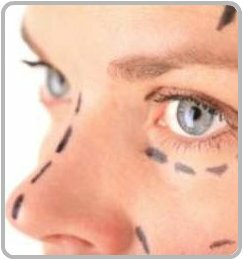 Below is a list of just some of the most popular and low cost plastic surgery procedures available for medical tourism in Phuket. At present, the cost of getting a medical check-up in Phuket is a fraction of what it costs in more developed countries. It is estimated that medical treatment in Phuket costs one-half to one-third of that in Singapore, one-fifth of the cost in Western Europe and about one-eighth of that in the United States. Many people can pay for their airfare, surgery and hospital costs, as well as recuperate at a luxury resort on a tropical Island and still save money on the same plastic surgery procedure in their home country. Medical tourism in Phuket is not just for medical tourists wanting cheap cosmetic surgery or that affordable tummy tuck or cosmetic breast surgery. With medical tourism in Phuket booming and the ever increasing cost of plastic surgery and waiting times in western countries. There has also been a rapid increase in the amount of medical tourism companies promoting affordable dental and low cost plastic surgery in Phuket and Bangkok. These companies can organize everything for you; however it is advisable to ensure that you are dealing with a reputable company before you sign any contracts. Alternatively you can organise your own medical tourism in Phuket by contacting either of the above hospitals via their websites. The hospitals have staff on hand to help you organise the whole process.